Many people buy a boat to spend quality time with friends and family, while others wish to sway with the water to find some quiet moments, or maybe go fishing every once in a while. Whatever be the use; a lot of wishful buyers face budget constraints when looking to buy a boat. 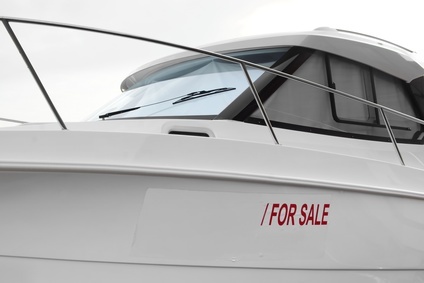 In such a situation, the repossessed boats for sale listed at AutoBidMaster represent an easy way out. If you are too looking to buy your maiden boat and could use some guidance, this blog post is for you. To help you shortlist a few boats, here are the top five models to look for in repo boats for sale. Take a look. The 2017 Crest 220 offers exceptional interiors, covered in premium leather. The deck is also spacious, measured at 21’ 5”. In addition, when talking about powertrain, the standard engine produces a hp of 115 and the upper trims offer 150 horsepower. Equipped with a 6 fusion speaker audio system, if you are browsing a salvage boat auction, pick the 2017 Crest 220 to make the most of your boat ride. Equipped with a V-6 engine, the 2017 Mercury 250 SL delivers high performance, power, reliability, and durability. The Mercury 250 SL comes with a number of warranties, including 2-years for recreational boating and 3-years limited corrosion. If you are browsing repossessed boats for sale and prefer boats with exceptional handling, the Mercury 250 deserves to be in your “to-buy” shortlist. The 2017 Bennington QX25 is equipped with luxury and comfortable interiors, along with strikingly beautiful exteriors. Undoubtedly the king of all boats, the Benn Qx25 also offers high performance and safety features. Browse the web and shortlist this beauty to own an all-round perfect boat. Although the 2016 Kenc Bay Rider offers little interior space, it is the ideal choice for people who prefer power over looks and space. A traditional yet modern design, the Bay Rider has a fuel capacity of 35 gallons and weighs 2350 lbs. Choose to buy this cozy and classic model at repo boats for sale. Equipped with a gasoline engine, the 2015 Range Rover RT188 produces a minimum of 115 horsepower. The hull is manufactured using aluminium, making it a reliable and sturdy model to shortlist at repo boats for sale. However, before finalizing on a RT188, it is important to inspect the boat thoroughly to avoid post-buy hassles. Looking for Repo Boats for Sale? Look No More! Research is essential in putting your money down on a boat the best meets your requirements and budget. AutoBidMaster offers wide range of options, ranging from Range Rover to Bennington. Along with an extensive inventory, we also provide convenient and instant VIN check feature, giving you the opportunity to make an informed buying decision. To connect with our team of experts, simply call +1 (503) 298-4300, or fill out our contact form and we will get back with you, shortly. Compact SUVs: Are They Worth Your Money?